9 out of 10 Hiring decisions are still based on “GUT INSTINCT"
These days market place is growing very rapidly because it is easily accessible, saves time and cost. HireXtra has successfully overcome and ironed out all the problems within the traditional hiring system. We have come up with a solution designed to save our time, costs and increase our productivity. HireXtra.com is multi vertical and multi horizontal and can strengthen all sectors within a business to ensure productivity and compliance. HireXtra is a closed crowd staffing platform that requires exclusive access. Employers and vendors can request entry by simply clicking the request button. Once registered it is “completely free of charge”. Employers can submit their job requirements via either HireXtra’s dashboard or through our dedicated relationship managers. Established in 2018 HireXtra is the next generation AI crowd staffing platform. We provide the recruiters a cutting edge market place between vendors and recruiters enabling a higher efficiency for all staffing needs. It is a one stop shop crowd staffing platform and is cloud based which serves as a single platform. HireXtra is a bridge between the employer and the vendor. HireXtra.com = crowd staffing simplified. Using HireXtra's AI based crowd staffing platform, employers can find the perfect profile / candidate to fulfil the job orders without any extra effort and cost. HireXtra.com will perform an AI enabled scan of all requirements from our most valued clients and find the suitable vendor out of our pool of growing (6300+) registered and approved HireXtra.com vendors to guarantee you a candidate to suit your requirements within 4 hours. 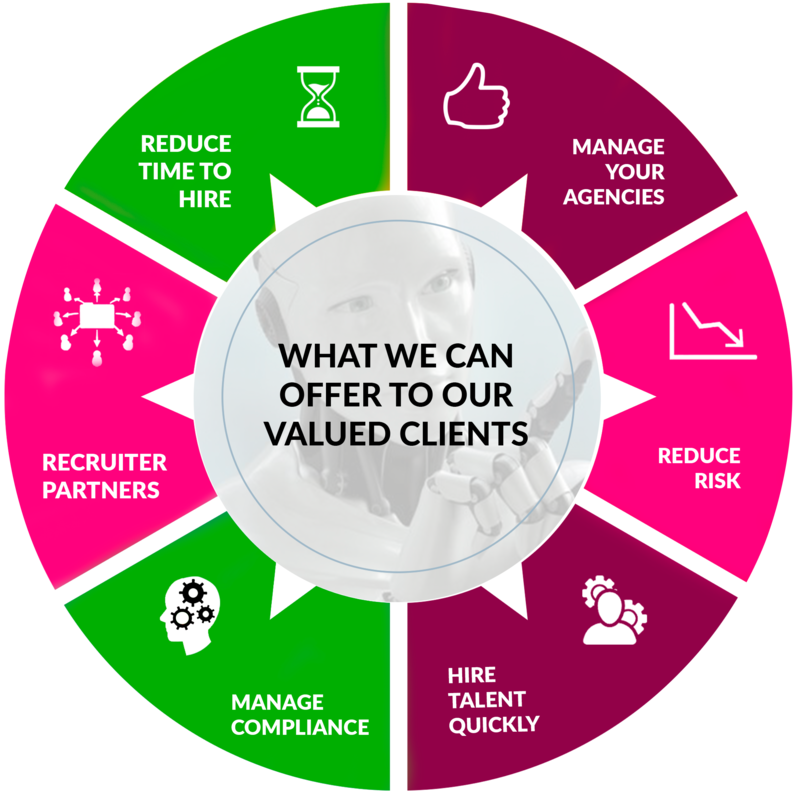 In addition to this, HireXtra.com gives you free access and knowledge to our exclusive closed crowd staffing platform where employers can post all their requirements and after being run through our AI enabled system will avail multiple vendors to fulfil their requirements in a record turnaround time of 4 hours, therefore reducing your time to hire. 1st time Sourcing per Position 18-45 Profiles 8-22 Profiles 15-35 Profiles Max 7 Profiles After AI Validation.